The AI module kept chattering as incoming gauss fire churned up the ground. On the screens, they had made enlistment look pretty slick. Powered armour suits, gravity suspension vehicles, high tech wizardry. It's still mud and blood. No matter how good the tech, in the end, you still need someone to bleed in the mud. Welcome to the battlefields of the 22nd century. 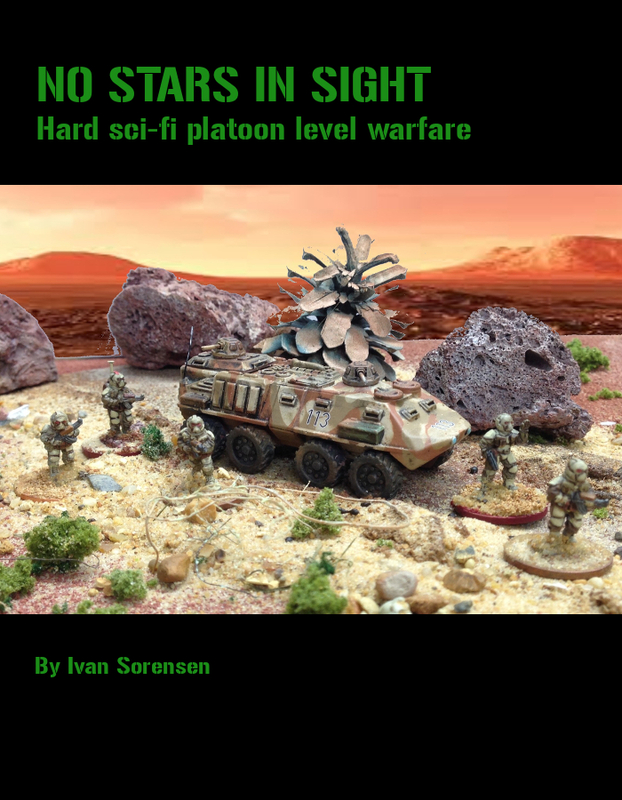 No Stars in Sight is your guide to platoon level "hard scifi" warfare on a near-future battlefield. A turn sequence that keeps you involved and making choices about how hard to push each squad leader. Movement and reaction fire mechanics that emphasize the difficulty in maneuvering over open ground. Every rush across that fire swept ground is a gamble. This is not your dads opportunity fire! Combat rules that are straight forward and emphasize suppression over unrealistic casualty rates. A variety of troop types possible: Insurgents, special operations teams, powered armour "walking tanks" bristling with fire power. A high-tech battlefield: Hackers, drone operators, grav tanks, exo-suits and much more. 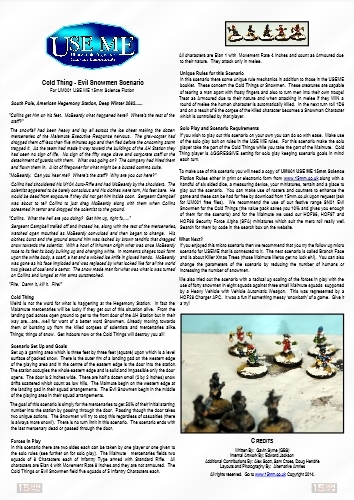 Campaign rules and random scenario generation. A full-featured points system to help guide your scenario setup. A series of aliens covering 12 archetypes from popular fiction and scifi media. Implacable robots, skittering bugs and ancient, refined aliens rub shoulders with honourable warriors and horrifying human-machine hybrids. A typical game is a reinforced platoon with vehicles in support. 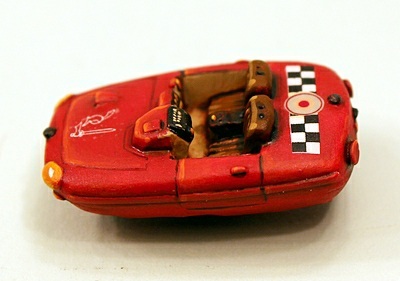 Any figures in your collection can be used, provided they are based individually. Ideal for 15mm. This is a full stand-alone game and does not require a copy of No End in Sight to play. Please note if you participated in the beta, contact me with the email used for your complimentary copy. 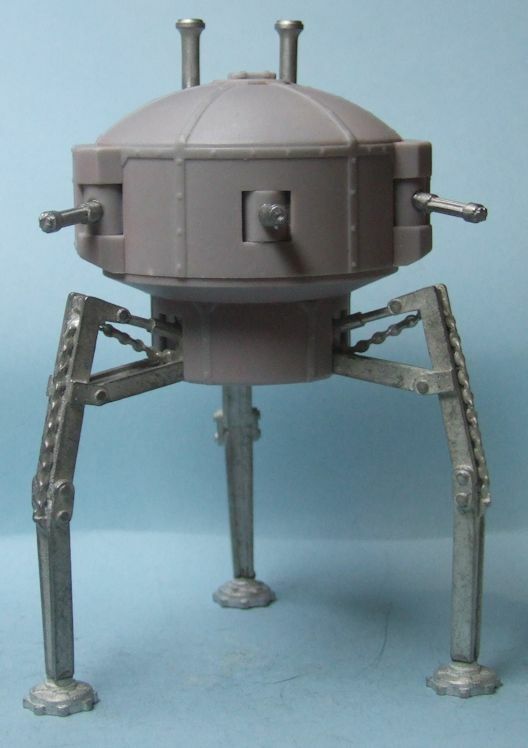 We have a new Heavy version of the British Walker for the 18mm Martian Empires Victorian Science Fiction range. 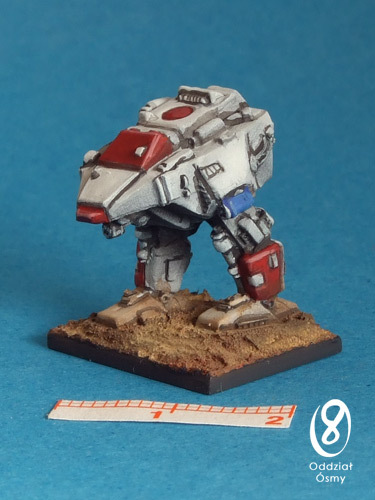 This walker carries a heavy cannon and 2 side-mounted gatlings.. The walker is £9.00 and is a resin and metal kit.